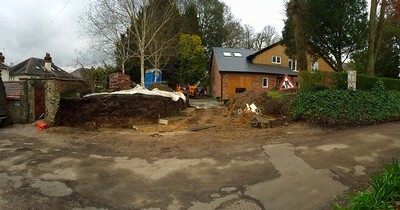 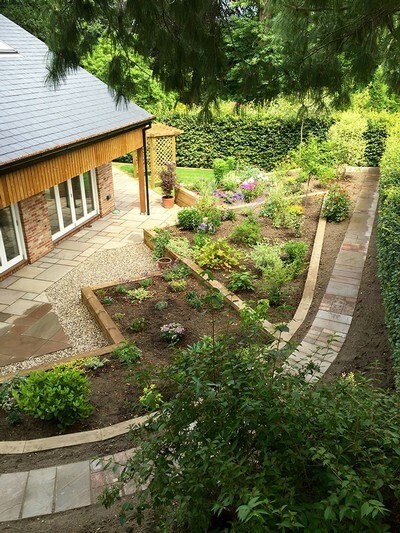 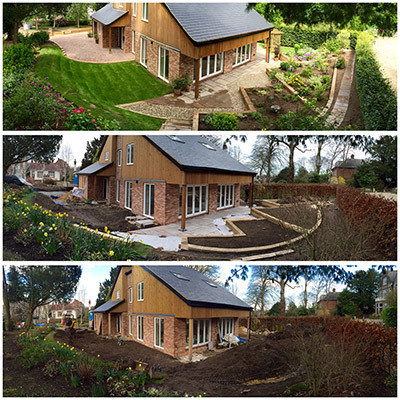 Avery Building & Construction recently completed landscaping work on this stunning eco build on Unthank Road. 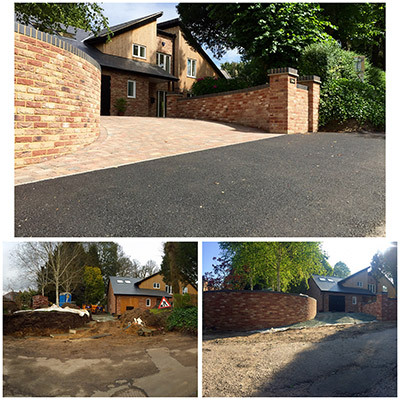 All work was completed by Avery Building & Construction to an exceptional standard using only the best quality materials. 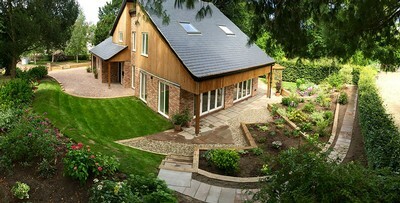 The project was ab absolute pleasure to work on. 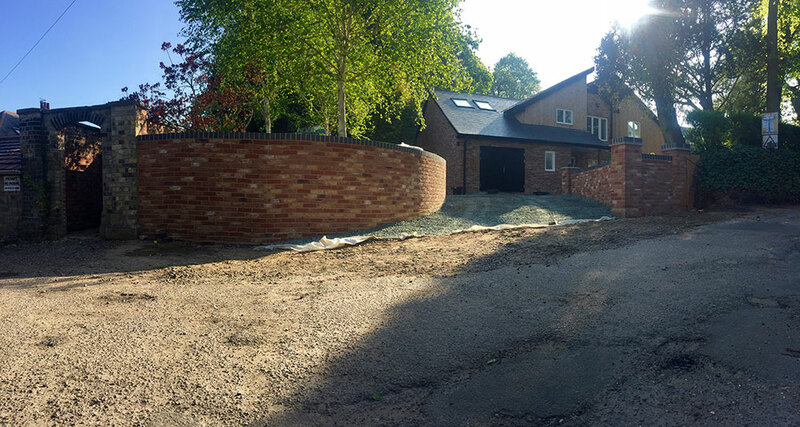 Two curved entrance walls were built with an engineered brick cap. 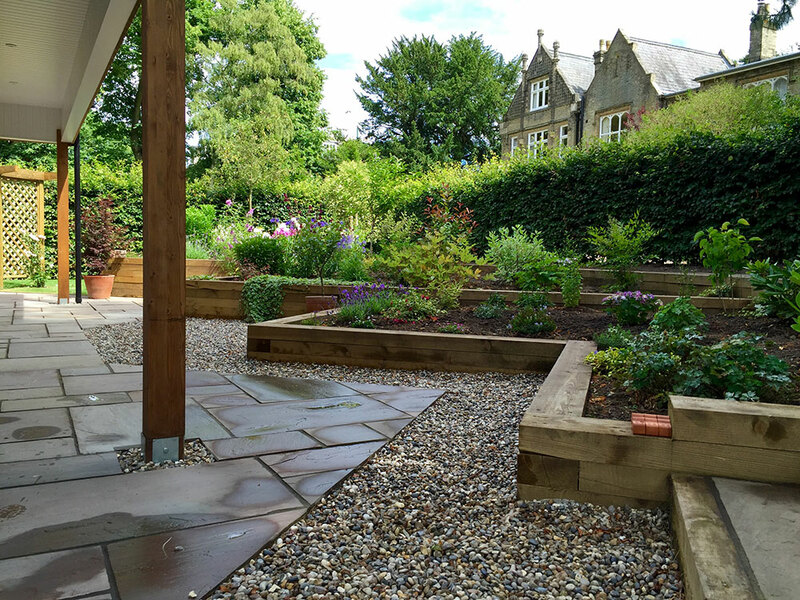 Peir caps were sat on slate giving a beautiful finish. 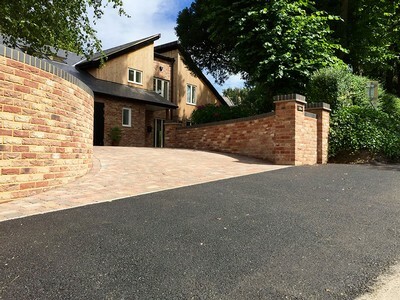 The driveway is a permeable drive system using 3 sizes of cobbles laid perfectly flat at the car park areas and sloping gracefully down to the road edge. This system is favoured by architects and planners as it allows all water to drain through itself removing the need for soak aways. 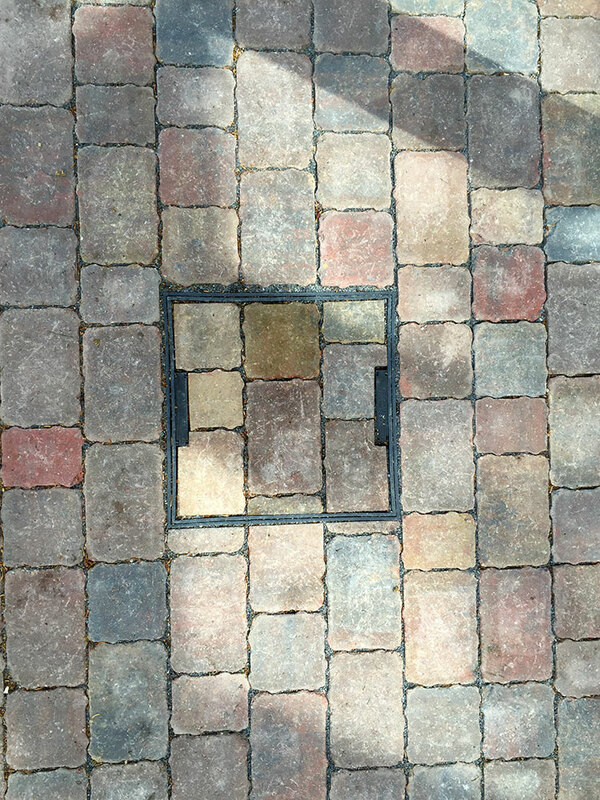 No water runs into road drains. 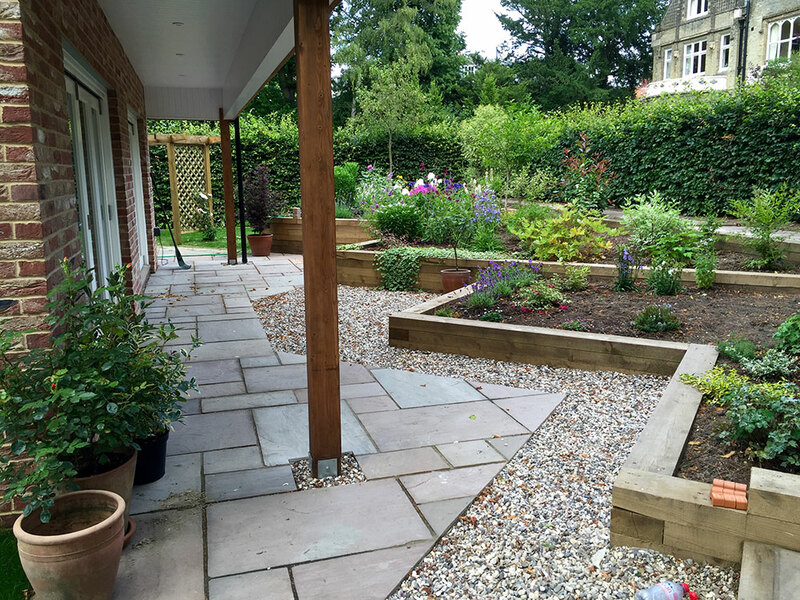 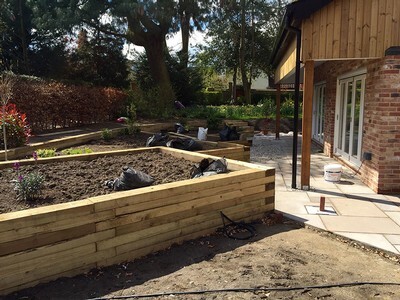 Over 250 landscape sleepers went into making the borders and split level raised beds. A combination of natural curves and striking straight lines complement each other throughout the entire job. The patios are a bradstone sandstone in colonial brown. Grey Geofix was used as the grout, a superior product to standard grout. 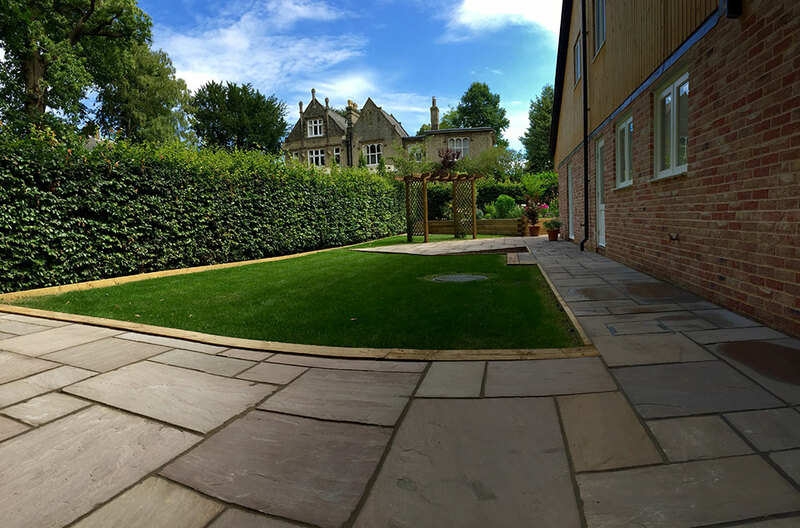 All lawn areas were laid with high quality turf and had taken beautifully within a matter of weeks. 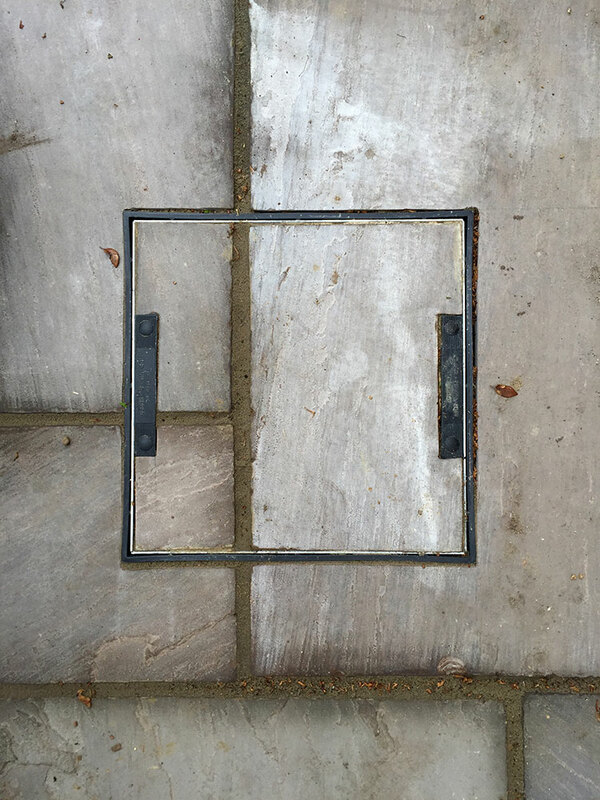 11 drain covers around the site were replaced with recessed lids. 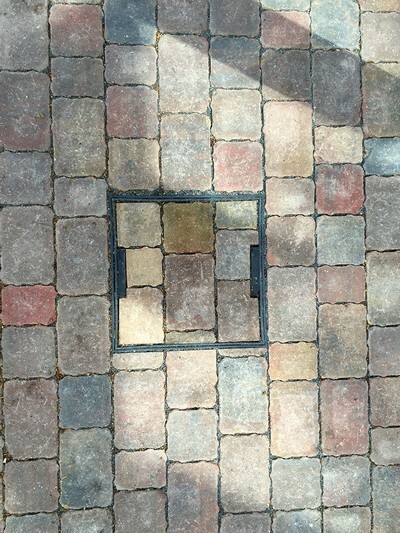 The stone was set into these lids to make the patios and driveway flow seamlessly.